The needs of major retail chains to more easily identify inventory through multi-panel labels has led to the increasing employment of corner wrap labelling systems. Many packagers and manufacturers require adjacent-side barcodes on their shipping cases as it helps insure inventory accuracy and location. One means to satisfy this requirement is to have a one half of a label applied to one side of a shipping case and the second half applied to the adjacent side. 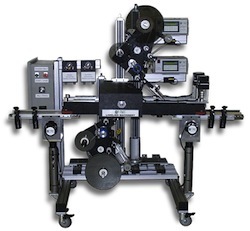 At Griffin-Rutgers we offer corner wrap labelers to meet the demands of your company, no matter the size and output. What is a “Corner Wrap Labeler”? 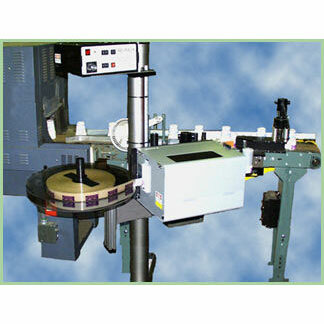 Corner wrap labelers provide a quick and efficient way to apply one label across two adjacent panels of a box. 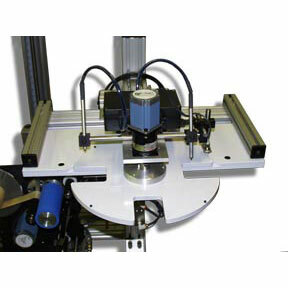 To apply the corner wrap label the product enters into labelling station from the customer supplied source whether that be automatically or by hand. One way is when the product approaches the label is applied to the front panel and then is pushed around the corner and the remaining portion of the label is wiped on to the adjacent side. Corner wrap labelling systems can be integrated into many different labeling situations, based on the individual packaging process. Corner wrap labels provide reliable protection and validate your products integrity. They also ensure in preventing product corruption, and helps to strengthen consumer confidence. One of the important factors of using a corner wrap labelling system is that the information labels are applied on-line, in one process by ensuring complete label adhesion to the carton. 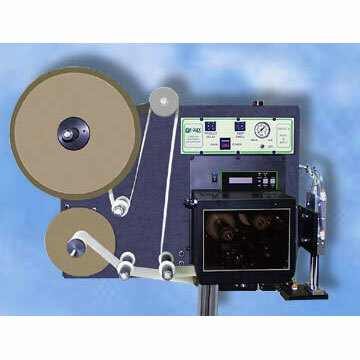 Our corner wrap labelers are rugged and easy to operate. The mounting systems are versatile, which enable the labeling head to be placed properly to the case line and, if necessary, in unusual orientations and in close proximity to other equipment. Let us put our 50 years of experience and know-how to work for you. Give us a call and we will help you choose the correct corner wrap labeler to meet your specific needs.